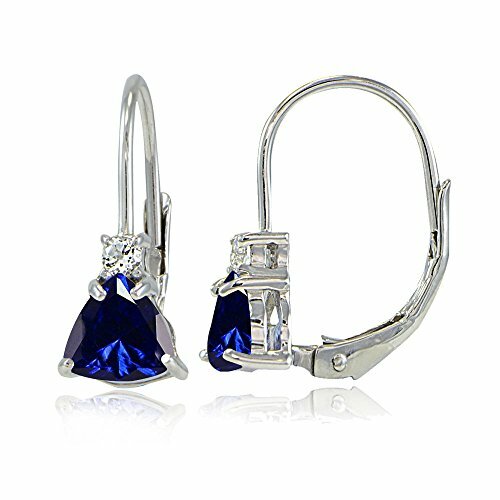 These attractive earrings showcase created sapphire trillion-cut stones below a small white topaz stones. The earrings are crafted of sterling silver and secured by leverbacks. Sterling Silver drop earrings showcase created blue sapphire trillion-cut gemstones below smaller white topaz stones. This striking jewelry piece is a dazzling winner, make it memorable!